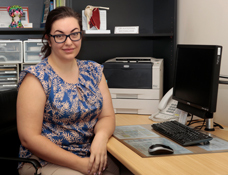 After completing her medical degree, Katerina worked in the Eastern Health hospital network, undertaking rotations in psychiatry, obstetrics, paediatrics, emergency and general medicine and surgery before transitioning to General Practice training. Katerina is interested in all aspects of family medicine and aims to provide a holistic approach to preventative health. Katerina commenced working at Belgrave Medical Clinic in February 2018. She will be with our clinic until February 2019. In her spare time, Katerina enjoys hiking, experimenting in the kitchen and spending quality time with a good book.